Offering Catholic women a Christ-centered approached to love and healing, this guide taps into the latest trend on college campuses and church grounds across the country in mapping out a 40-day fast from dating that provides frustrated women an opportunity to regain their clarity about romantic love. With each day structured with brief affirmations and practical activities—such as prayer, reflection, forgiveness, and thanksgiving—Catholic women will find a cleansing ritual sure to resolve the emotional trauma of painful pasts, and reaffirm an orthodox belief in romantic love. "In order to be truly ready for a romantic relationship, you must first love and respect yourself. 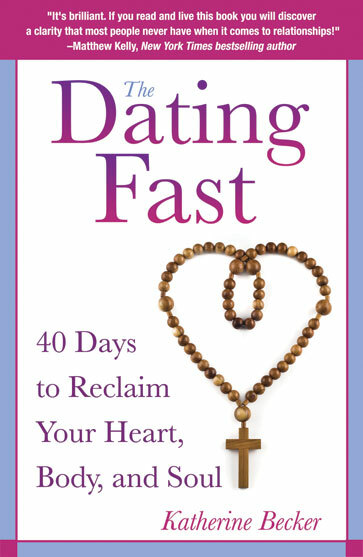 Katherine Becker's forty-day dating fast is an excellent tool for self-reflection to understand yourself better and grow in love, confidence and faith. Following this fast will better prepare you for relationships, and is a solid step toward a fulfilling life, with or without a spouse." —Anita A. Chlipala, MA, MEd, LMFT, Relationship Reality 312, Inc.
Katherine Becker is an active member of the Dating Fast movement and a doctor of philosophy candidate at the University of Wisconsin–Milwaukee. She lives in Milwaukee, Wisconsin.